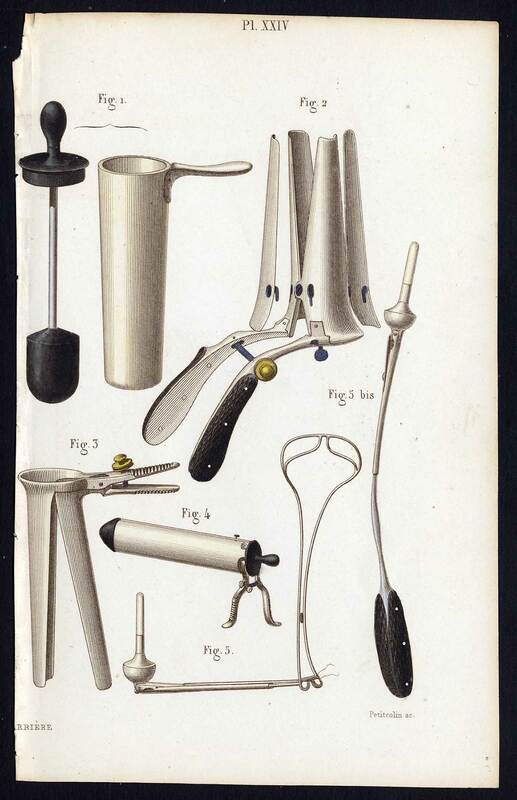 Subject: Plate XXIV: This plate shows surgical instruments for female illnesses; speculums etc. Copy of descriptive text available. Size (in cm): The overall size is ca. 10 x 16.5 cm. The image size is ca. 8.5 x 15 cm. Size (in inch): The overall size is ca. 3.9 x 6.5 inch. The image size is ca. 3.3 x 5.9 inch.